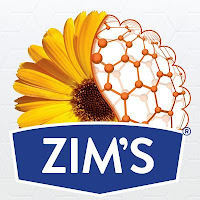 When we tried Zim's for the first time, we were reminded of another and similar product, which is blue, has a comfy, warm, menthol aroma and also works well. However, we haven't used that other product in quite a while for any number of reasons. We are thinking that Zim's Max-Freeze is just like Mineral Ice. But, it's stronger and more invigorating. It feels incredible on arthritic joints. The problem with products such as these is that most arthritis sufferers are already using something and are entirely too married to that product to try another. At least, this is what we've experienced on more than a few occasions. The solution? PLEASE, TRY IT. IT COULD WORK BEAUTIFULLY FOR YOU. That's all. Zim's is a Perfecta Products brand.